The advice of Andrew Mellon to Herbert Hoover. President Hoover did not accept that advice and the Great Depression continued for more than 10 years. Your government has just acted exactly opposite to your best interests and the best interests of the United States. They have authorized increased government spending instead of making the severe Federal budget cuts that are necessary to avoid the severe economic crisis directly ahead. Instead of liquidating mal-investments in the Federal government regulatory structure, your political leaders have guaranteed economic stagnation followed by depression. Have you been to Washington DC recently? It is in a massive hiring and building boom. New roads, new buildings, new neighborhoods all around town. 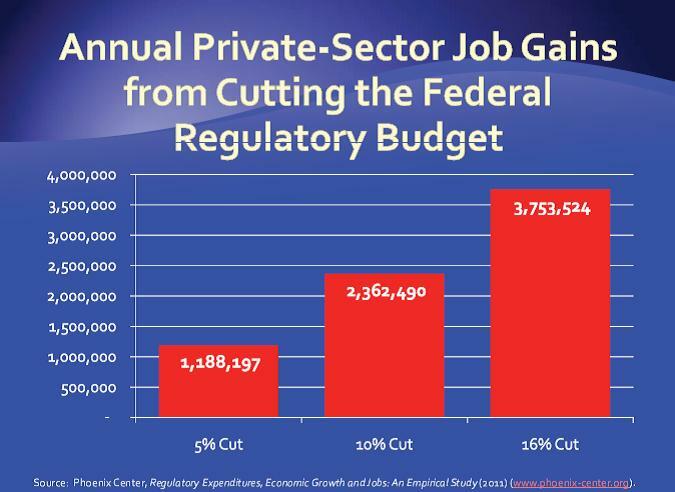 Instead of reducing the cost and complexity of government regulations, we are hiring more and more regulators. Obamacare alone requires 159 new agencies, boards or committees. 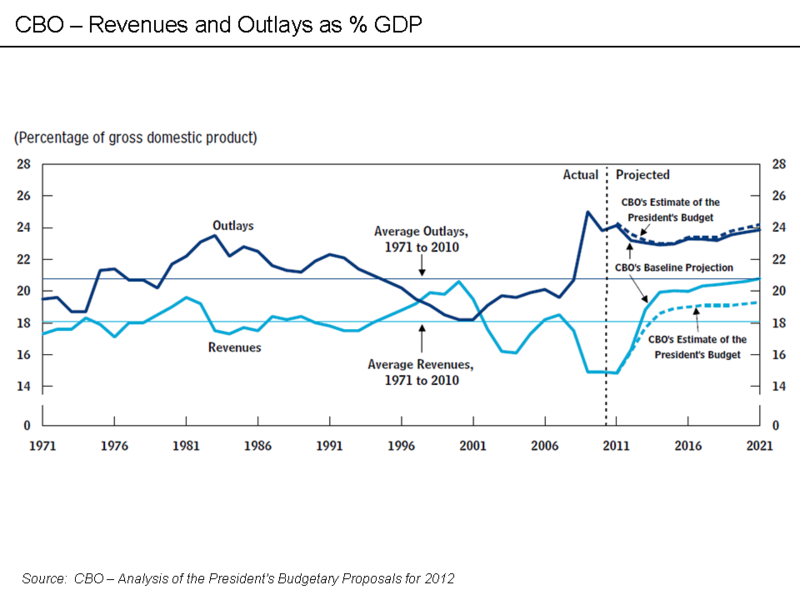 Evidence clearly shows that increasing government spending reduces economic growth. When growth stagnates, payment of interest on debt becomes more difficult and eventually impossible. Government and central bank attempt to keep interest rates low in order to reduce the government’s cost of borrowing more and more to pay for ever-larger government. But this is counter-productive mal-investment. The low interest rates are further disincentive for private industry to invest in production and innovation. Companies are better off buying back their own stock and downsizing employment in a stagnant economy. 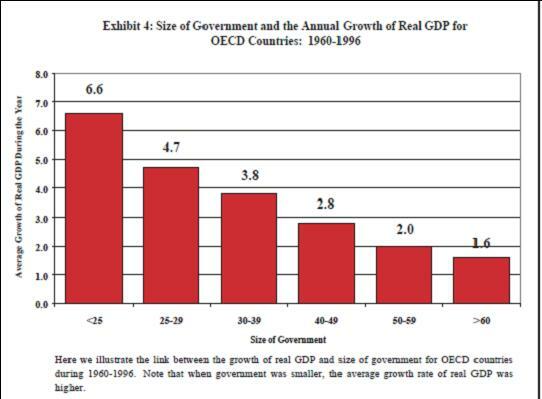 The graphic immediately above shows 10 years of OECD data (more than 80 countries) of government spending as a percent of GDP versus average growth rate of GDP. The growth rate of the US for 2012 was 2.2% and government expenditures in the US were 39.5% of GDP. The efficiency of US government expenditures was less than the average of OECD countries. Some economists argue that the U.S. growth rate is overstated. Raising the debt ceiling, that is, authorizing further increases to federal spending as Congress and the President have just done, will be counter-productive, resulting in lower economic growth, fewer jobs, and a downward spiraling economy. This is irresponsible government. 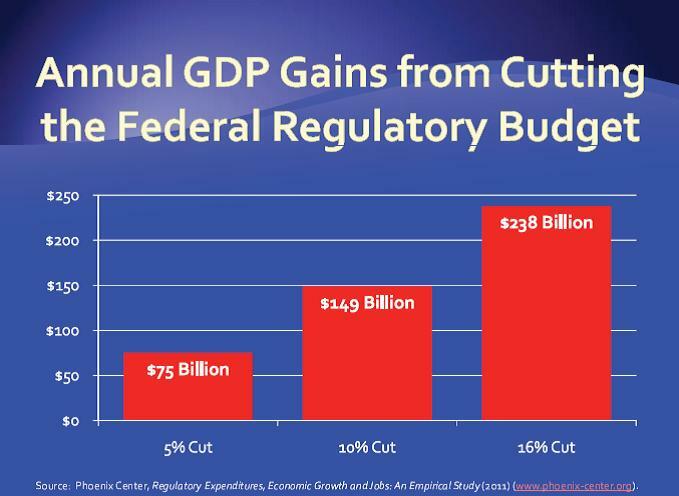 What is needed is significant reduction in federal government spending toward an optimum level around 20% of GDP, along with reductions and optimizations in state and local government budgets. It can be done. The state of Wisconsin, which has a balanced budget, recently passed a $100 million reduction in taxes. Wisconsin and other states like Texas are showing the way. Failure to reduce government spending, not just reduce the rate of growth of spending, is negligence on the part of political leaders. We need negative growth of spending, but well managed, not overly severe, and spread over years. A balanced budget is just the first step toward fiscal sanity, but they have refused to do that. Beyond a balanced budget, deeper cuts will be required for years in order to reduce the existing outstanding government debt. Managing sustained negative growth of spending, spread over many years, is required to minimize the inevitable financial pain. This implies huge reform in government agencies, government employment policies, government employee incentives, and oversight and regulations. Size and complexity of government at all levels must be reduced. 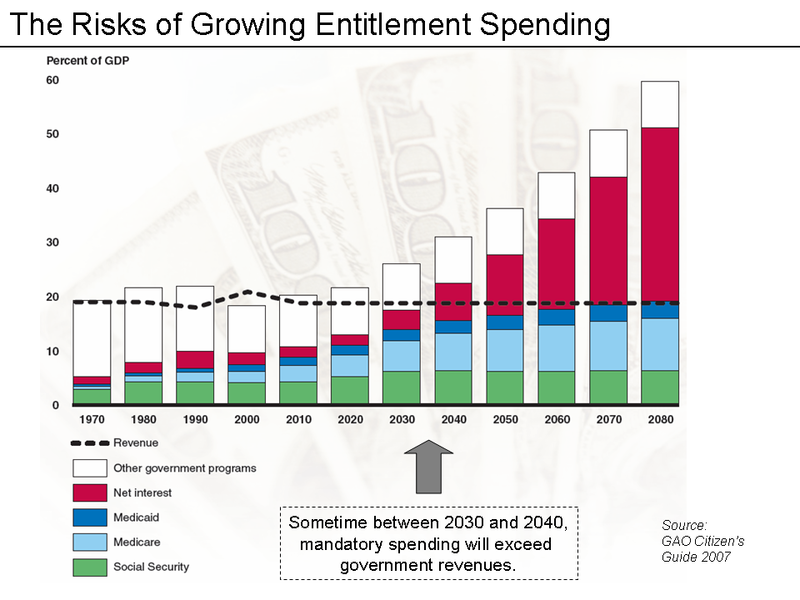 Excessive government spending has already pushed the U.S. economy into a downward spiral. We are in that downward spiral now. Government, in Washington D.C., in other countries, and in most U.S. state and local governments, is throwing gasoline on a dangerous fire. If this were a healthy economy, we would have experienced a recovery that included several quarters of double digit growth following the severe financial meltdown of 2008 and 2009. Instead, we have 2% growth, massive dropouts from the labor force, and leaps in enrollment for welfare programs such as Food Stamps. Fourteen million people in America are receiving monthly, permanent disability checks. Since 2008, more people have been placed on permanent disability than in jobs. 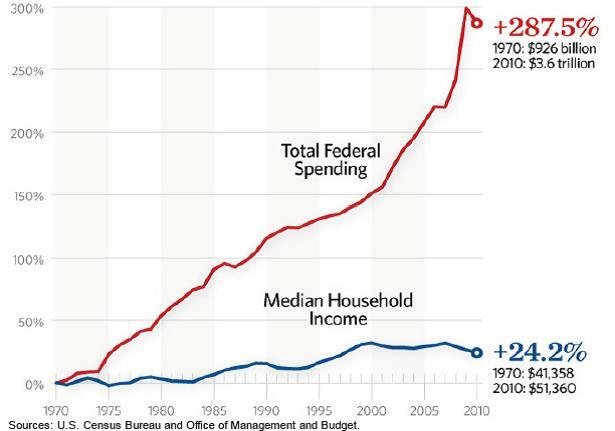 Federal spending on social programs is growing 18 times faster than the economy. 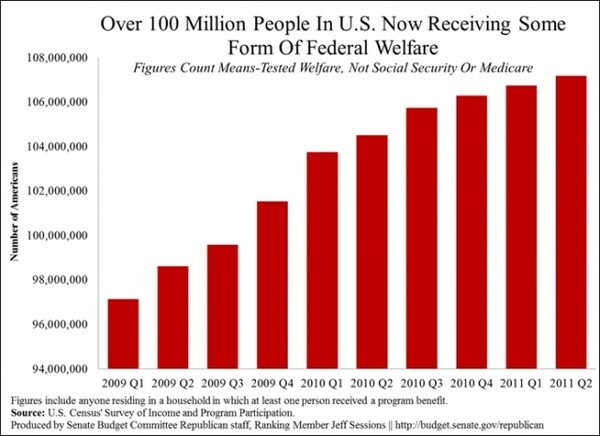 Over 100 million people in the U.S. are now receiving Federal welfare. Social Security and Medicare payments are not welfare but rather insurance benefits which were paid for by employers and employees in their wages. During the economic collapse known as “The Great Depression,” Andrew Mellon, Secretary of the Treasury for under three Presidents, advised U.S. President Herbert Hoover, “Liquidate labor, liquidate stocks, liquidate the farmers, liquidate real estate. It will purge the rottenness out of the system. High costs of living and high living will come down. People will work harder, live a more moral life. Values will be adjusted, and enterprising people will pick up the wrecks from less competent people.” “Additionally, he advocated weeding out “weak” banks as a harsh but necessary prerequisite to the recovery of the banking system. 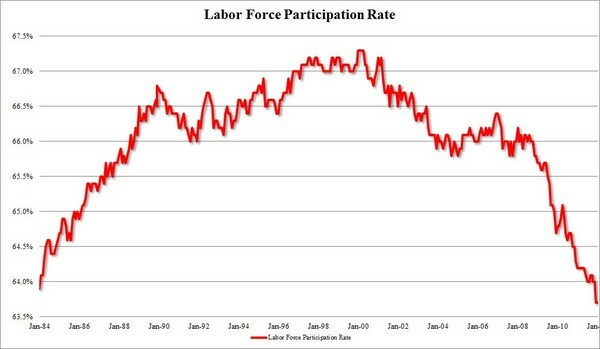 This “weeding out” was accomplished through refusing to lend cash to banks (taking loans and other investments as collateral), and by refusing to put more cash in circulation. He advocated spending cuts to keep the federal budget balanced, and opposed fiscal stimulus measures.” (1) President Hoover rejected Mellon’s advice. “The Great Depression” lasted fully 10 years, arguably until the U.S. entered World War II. That was then. Today, the mal-investments are in different places than they were in 1928. 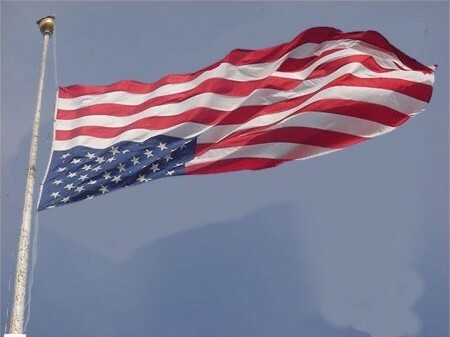 Today, the United States needs to liquidate many agencies of government at all levels, re-institute banking laws such as the Glass-Steagall Act (The Banking Act of 1933), weed out high risk derivatives trading by too-big-to-fail banks, restore solvent banking practices and eliminate zero reserve banking, regain public control of the Federal Reserve System and institute prudent banking practices there. We also must eliminate all U.S. liabilities to global banks such as the International Monetary Fund and World Bank, and eliminate obligations to the United Nations and similar supranational agencies because these supranational agencies cannot be managed under the U.S. Constitutional system of law without relinquishing the sovereign liberties of American citizens. Foreign aid must be eliminated for some years; it is financial insanity to borrow from one country and give it to a third country. 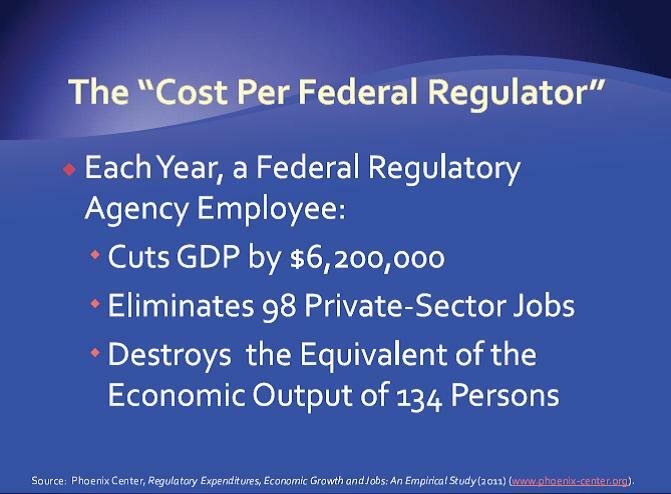 The total burden of regulations on private industry must be reduced and optimized. As in the Great Depression, if we do not act appropriately, these liquidations will occur whether we like it not. We will have what has been called “creative destruction.” We have a choice to insert new politicians who will manage the liquidations to minimize the pain and suffering, or else we can continue to ignore our incompetent, thieving, debt-and-power-addicted politicians and then economy and government will certainly crash, perhaps brought about by violent efforts to overthrow our corrupted government in an American Spring, or perhaps brought about by a futile and unnecessary war with dissatisfied creditor nations. 2012 US GDP was $15.6848 trillion. US government percent of GDP in 2012 was 39.5%. Graphic is on page 9 of this report: http://frihetspartiet.net/function.pdf. Excellent article and one that reflects my beliefs. Unfortunately it is not Washingtons belief. Their only concern is themselves.